The range of subjects vary considerably, but are all centred around how these can enhance the coaches’ and mentors’ skills, effectiveness and impact. Our typical CPD format are a half-day or more for the CPD subject itself, plus 1-2 hours allocated for discussion of coaching/mentoring challenges and issues raised by the participants. When you are a practicing coach or mentor it is very important for your professional credibility and safe practice that you get regular supervision, indeed it is part of the Global Code of Conduct for coaches and mentors. The habit of regular supervision and all that it entails can indirectly feed into and support the line manager role in coaching, providing feedback and managing performance and ultimately support cultural change in the organisation. EMCC’s recommends a ratio of a supervision session for every 35 hours of coaching or every 3 months, whichever comes first. An individual coach supervision session will typically last between 60 and 90 minutes, while group sessions for 6-8 people are typically 3 hours long. Even with considerable coaching experience it can be very useful to revisit the core coaching tool set and explore how to get the most out of these techniques with the benefit of experience. This CPD workshop will revisit and remind the participants of core listening, questioning, feedback and rapport building coaching tools and techniques. As the number of internal coaches increases, there is a need and opportunity to promote and support continual coaching development for these coaches. Coaching and mentoring almost always involves helping the coachees/mentees change their mindset, behaviours and actions. Sometimes this is internally motivated, at other times it may be driven by external changes affecting the coachee. This CPD workshop will share tools and insights around how individuals respond to change, and in turn how the coach can help their coachees manage and adopt changes they personally want or have to make. Leading and managing change are essential parts of all people leaders’ and project managers’ roles. Research consistently shows that organisations fail to realise the benefits expected from change initiatives, particularly where the changes require people to think or behave differently. This CPD workshop will share tools and models around organisational change and best practice change management approaches. From this we will explore how coaches can take an effective coaching approach to help their coachees lead and influence their teams to engage and deal with the changes. 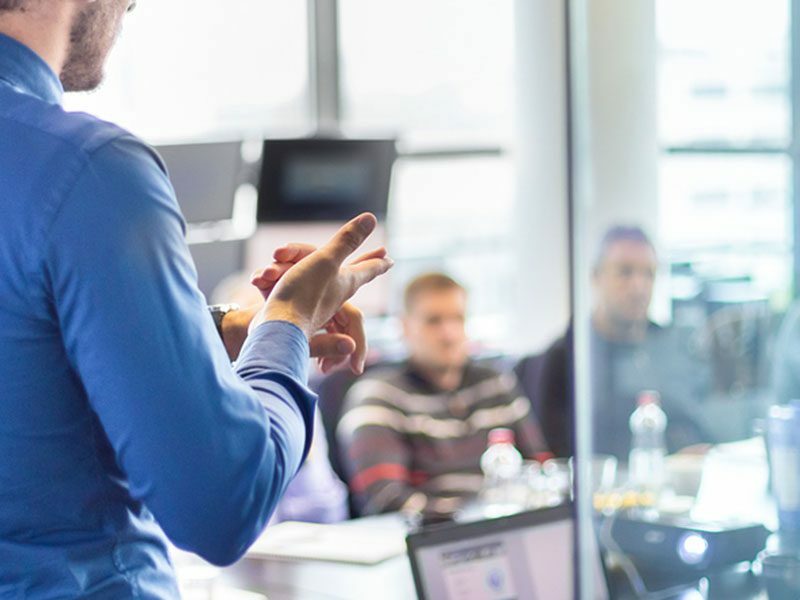 A CIPD report identified that only around 22% of any organisational training is demonstrably applied to the workplace and contributes towards increased performance. The addition of coaching to support the employee after the training increases this application to 88%. This CPD workshop will look at the very significant value that coaching can add to make training more productive, and how coachees practically can enable the embedding of newly acquired knowledge, skills and behaviours in the workplace. This CPD workshop will look at what factors affect wellbeing, the early warning signs of stress and the negative effects of stress on performance, decision making and health. It will explore how a coach can help their coachees deal with pressures and stress, and improve their wellbeing at work. It will also look at coaching for resilience, enhancing the capacity to remain flexible in thoughts, behaviours and emotions under stress. Being person centred is an essential element in coaching. This is the ability to focus on the coachee, and generally ‘stay’ out of the way of their thinking. In this CPD workshop we will explore the advanced coaching technique of Clean Language questions. Clean Questions is a powerful methodology to help you stay very person centred and at the same time reduce the pressure of preparing your next question. Clean coaching will give you a deep and fascinating insight into how your coachees’ think and perceive themselves and the world they are part of. The coachee’s motivation is a key factor in successfully changing and improving performance. But how do you assess their motivation, and how much can you help them become motivated? In this CPD workshop we will share some motivational theories, positive psychology approaches as well as recent insights from the field of neuroscience. We will then explore how these insights can help us understand and support our coachees in the coaching conversations. In the Options phase of the GROW coaching structure, we help coachees find ways forward by replacing old habitual responses with new ones, finding new solutions to problems etc. In this phase, it is very important that we help the coachees think creatively – to think outside of the patterns that may have limited their thinking before. Finding one solution, one way forward, may be useful for someone who is stuck, but it is often through expanding the range of possibilities, options and new solutions that we truly help to release energy, enthusiasm and motivation. In this CPD workshop, we will explore a range of creative methodologies to help the coachees come up with more options. In many organisations coaching and mentoring are recognised as effective ways of developing and supporting individuals from board level to front line staff. However, many organisations do not exploit the potential of using coaching to support wider organisational strategies and change programmes. In this CPD workshop we will explore how to take coaching from ‘just’ a set of discrete 1:1 conversations supporting individual development, to a managed set of goal orientated interventions across many people in an organisation. This workshop is designed for internal coaches and mentors, coaching and mentoring programme managers and senior managers who would like to get more out of the coaching conversations taking place across their organisation. The 2013 Ridler Report, into trends in coaching in major organisations, highlighted the growth of and demand for team coaching in organisations. In this CPD workshop we will explore the difference between team coaching, individual coaching and other team development activities. We will also cover the role of the team coach, what new demands this place on the team coach and how you can apply coaching techniques in team interventions. When a coaching or mentoring relationship leaves the coachee and/or the coach feeling disappointed or frustrated, it is often down to issues in the contracting process i.e. that the expectations were not managed well. This very practical and participative CPD workshop explores the concept of ‘contracting’ as a foundation for building and maintaining effective coaching relationships. It will look at how to use contracting to help the coachee feel safe, how to protect yourself and how to effectively contract with multiple stakeholders. What initially seemed a ‘boring’ topic “Ed: Contracting in Coaching and Mentoring” turned out to be extremely interesting! Experience is sometimes billed as the best teacher, however that is not really the case; it is what you do with the experience that is important! It is your ability to learn from your experiences and to use this insight to improve your understanding and competency, that can make experience a fertile ground for development. In this CPD workshop we will explore how adults learn, what reflective practice is and the benefits of good quality reflections. We will also look at the role and benefits of supervision and how you get the most out of supervision. "The training was really informative. I enjoyed the informal nature of it as Will made me feel relaxed and able to ask questions. I have a lot to reflect on and tools to use when mentoring. Excellent course." "Jan is knowledgeable, engaging and very experienced. He brings an energy to the area of coaching which is inspirational and contagious." "Excellent, knowledgeable and personable trainers with great tools, techniques and materials." "Highly informative and engaging content. Useful to revisit skills and learn new models." "Definitely recommend this - if you are a coach this will be one of your most rewarding days." "Fantastic course which gave me the tools and skills to improve my coaching, alongside a safe environment to practice in, thank you!" "Invaluable for enhancing motivation, performance, and recognition for self and coachees."